Join Mark Dawson from the Whitby & District Astronomical Society on the front lawn at Fyling Hall School, perfectly placed facing the sea. Boarding students from the school will also be enlisted to help out with a scaled solar system demonstration before observing begins. Mark will then talk about what is visible, pointing out the brighter stars, constellations and objects of interest. 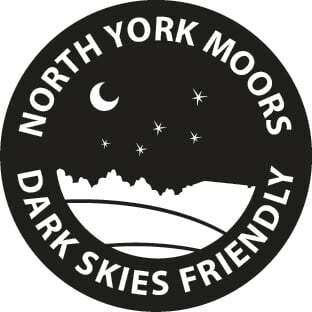 The below graphic shows if and when it will be dark at Fyling Hall School - Whitby on the evening of this event. Yellow areas show when the skies are not dark due to daylight (bold yellow) and moonlight (faded yellow). Click on the image for an explanation on how darkness is determined.